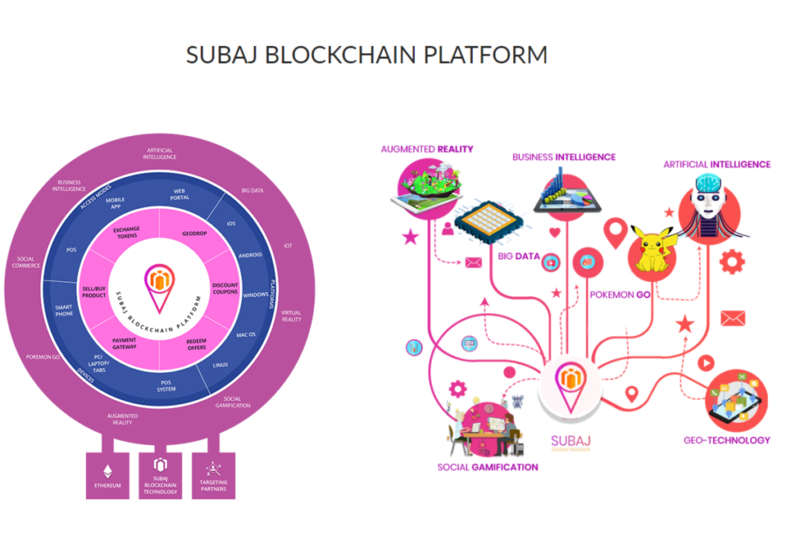 Subaj is a project that uses Blockchain technology to change the way companies, retailers, traders, and service providers reward their customers by allowing them to use crypto tokens. 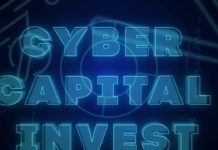 Under this platform, it will be possible for the participants to create their respective tokens and give them to their clients as loyalty rewards. The SUBAJ Global Network creates a distinct global Blockchain system that supports online/offline payments, marketing, and reward sharing. 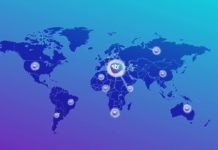 The platform will use Blockchain giving it the capacity to reach different companies, retailers, traders, and service providers and allow them to take part for their mutual benefits. 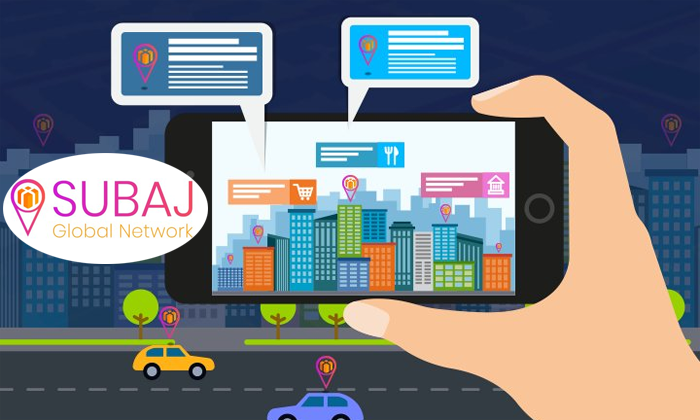 Subaj will heavily rely on advanced technologies such as GeoDrop Technology, Social Gamification, and Augmented Reality. 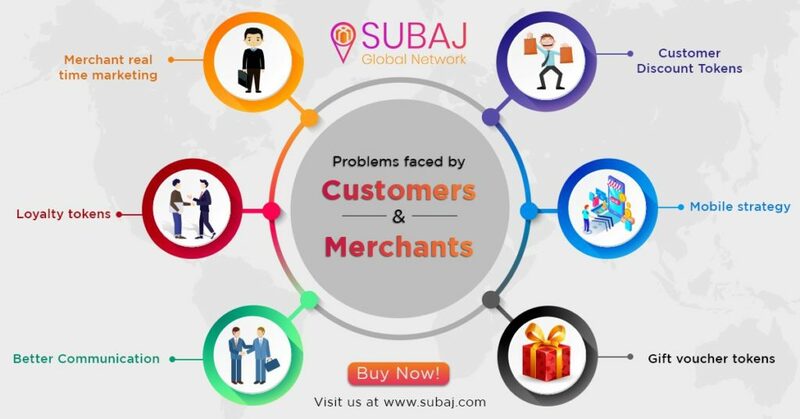 By using these technologies, Subaj will definitely revolutionize and enhance the shopping experience of customers globally. Subaj will allow the various participants to develop their own Cryptocurrencies and use them as loyalty rewards. Reward programs are popular among businesses seeking to retain and attract customers. Under this system, a customer exchanges the reward for another product or buys another product at a reduced price but only from the same store. Although many businesses use a type reward called Point Reward, that allows the customers to accumulate their points after every purchase, studies have shown that more than 70 percent of young customers find the system insignificant and fail to use them. With Subaj, however, customers will be able to accumulate points from different stores and use them to purchase from any business on the system. Currently, businesses have to spend a lot of money on advertising their products. 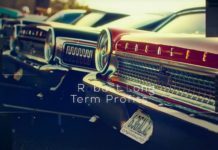 The effectiveness of this marketing technique is further enhanced by introducing a reward system. Subaj will make the reward system an effective marketing method, as it will provide customers with enormous capabilities thereby giving them reasons to make more purchases to get more rewards. Under the current system, there is no transparency. Furthermore, the customers get rewards that have insignificant value. 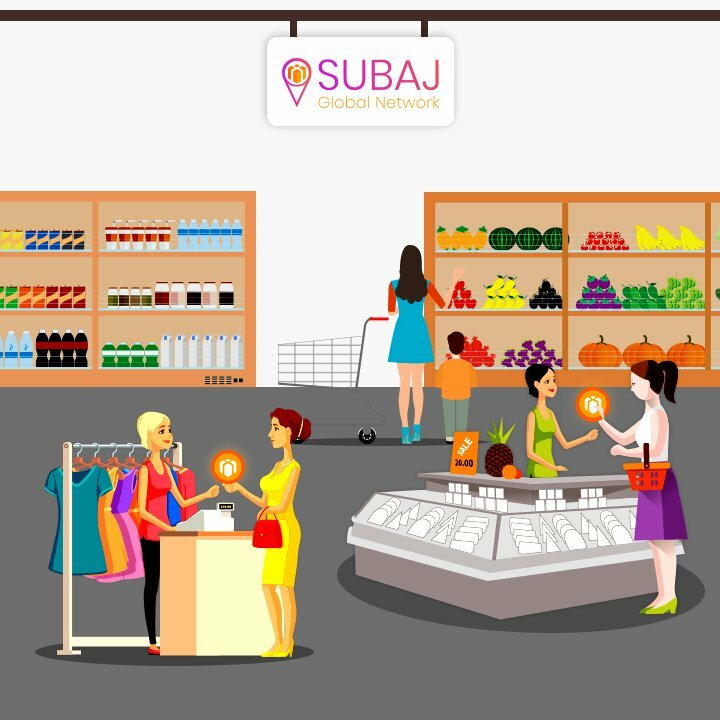 Subaj will allow the customers to accumulate rewards in the form of tokens and use them the way they want in the various stores on the platform. The tokens can also be exchanged with SBJ token or other main Cryptocurrencies such as Ethereum. Subaj is present in various social media networks like Twitter and Telegram. Those wishing to know more about the project can interact with the sales agents through this platform. The agents are well informed about the project and will respond to any question asked. Moreover, social media has acted as a marketing tool enabling the company to reach more customers. Subaj provides enormous opportunities to both the businesses and their customers. Businesses that use the platform will get a chance to attract more clients by using the reward system while customers will have a chance to use the rewards in any store. Consequently, the project is expected to gain popularity once launched.